100 SafeCare Hospitals have achieved an exemplary level of performance in the comprehensive, evidence-based metrics of the Centers of Medicare and Medicaid (CMS) value-based program (HVBP), readmissions reduction program (HRRP), and acquired complications reduction program (HACRP). Hospitals that perform poorly on these quality, safety, and efficiency metrics receive a financial penalty from the government. Only about two percent of US hospitals earn the prestigious 100 SafeCare Hospitals® distinction, and the top 50 hospitals represent the top one percent performance in the evidence-based metrics of HVBP, HRRP, and HACRP. The SafeCare Group was founded in 2010 with the motto Softwaring Healthcare Excellence®. The SafeCare Group software solutions enable hospitals to take advantage of disruptive healthcare technologies that optimize hospital reimbursement and accreditation. Since 2012, SafeCare Analytics® have been helping hospitals excel with physician privileging software for Joint Commission OPPE, and hospital software for better readmissions, cost, complications and infections. 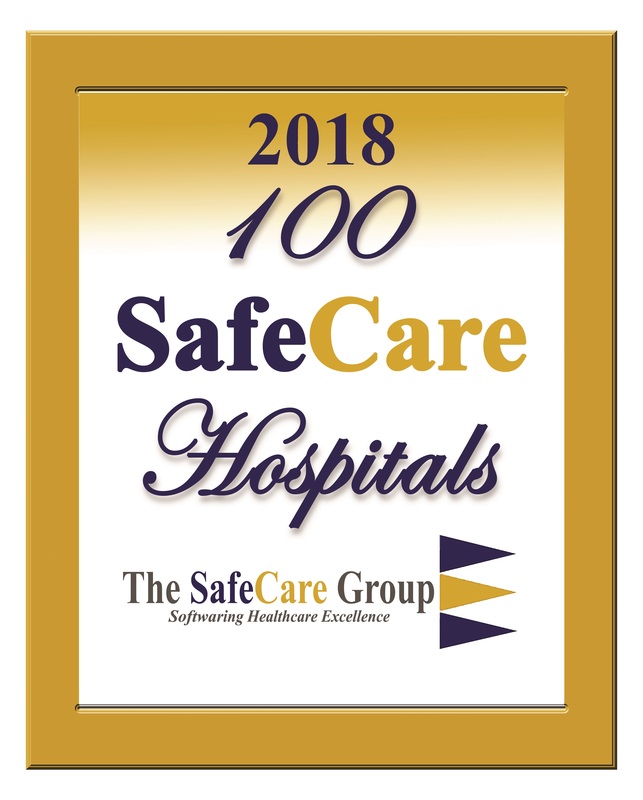 Since 2013, 100 SafeCare Hospitals® listings have been Recognizing Healthcare Excellence® of 100 US hospitals that excelled with low infections, readmissions, and complications. Since 2015, SafeCare® magazine has been delivering information on the people, ideas and novel technologies affecting access, cost, and quality of healthcare across the globe. For more information about The SafeCare Group, visit www.safecaregroup.com.